San Pasquale Winery - San Diego Dining Dish! 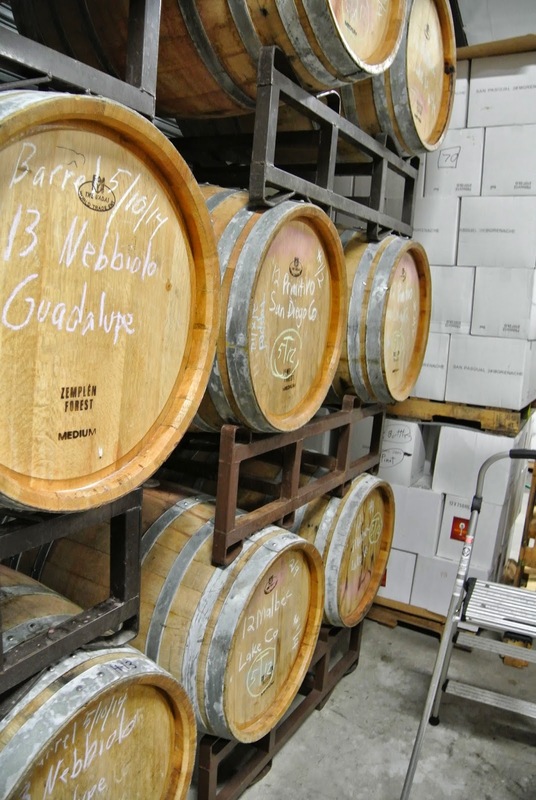 I love good wine, and San Diego is a destination for so many awesome boutique wineries. 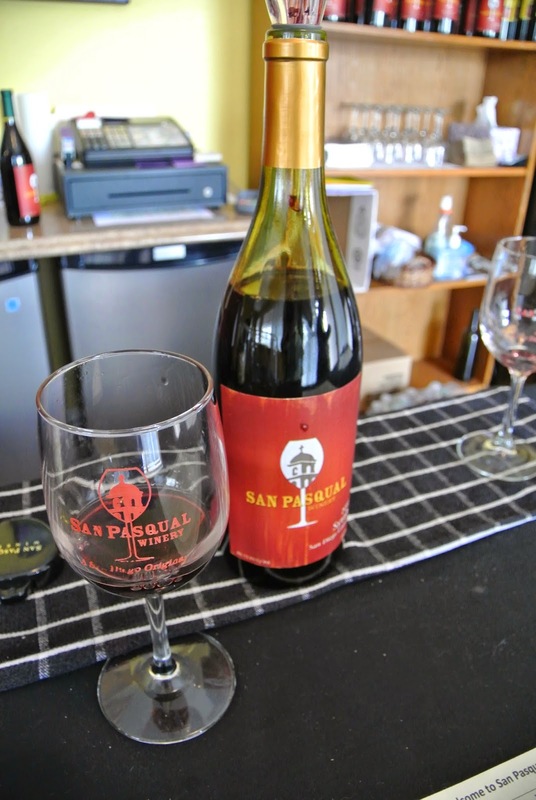 I have driven by the San Pasqual Winery numerous times and I finally made time to discover its fines wines. The winery itself is sparse yet inviting. We tested numerous red, white and specialty passion fruit wines. I started out with a 2010 Sauvignon Blanc, and found it light and fruity, definitely a smart buy considering the Santa Anas we recently had. Next, I tasted the unfiltered 2013 Chardonnay; now I have to admit, I am not normally a Chard fan, but this bottle was the exception. It was not woody or buttery, but crisp and perfect for a summer happy hour at home. We ended with a Viognier, which was dry and smoky, a unique taste to end the whites. Next I moved onto the reds, which is favorite varietal. I started with the 2009 Grenache, which was full-bodied tasty treat. Then ended the reds with a 2011 Tempranillo and 2011 Syrah. These two reds were a complete story with a great start, middle, and end (which is a general comment for this winery). 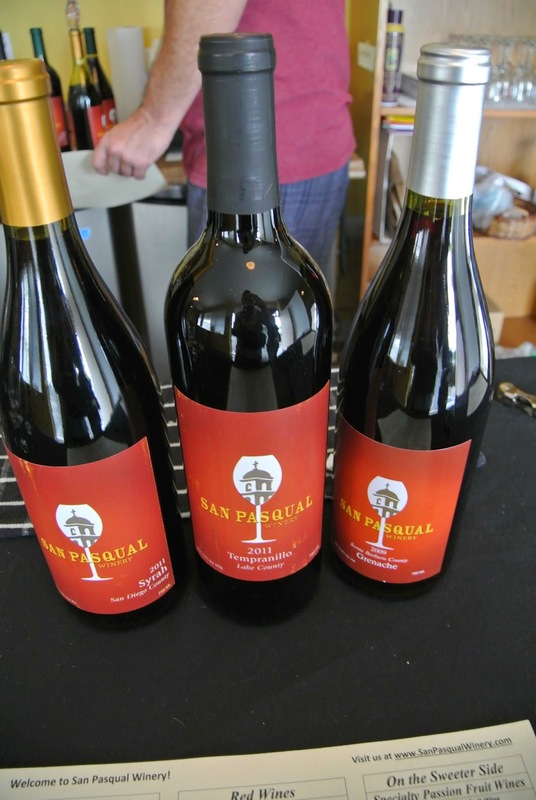 I loved these wines, the Tempranillo with its spice, and the Syrah with its smoky flavor. I then tasted the Roselle Passionfruit, a specialty of this winery and summer treat not to be missed, and it was sweet and refreshing. We then moved onto a tour of the winemaking facility and a taste of the upcoming Barbera wine to be bottled later this year (which I will not miss!). We ended the tasting with a nip of port…which I loved! My review of the winery in short can be seen by my purchases. I purchased 4 bottles from this excursion… the Grenache, Tempranillo, Syrah, and of course, the Port. A number more then I have done in months, and in short a great addition to the SD wine scene.